Upstairs, Downstairs is a British television drama series originally produced by London Weekend Television and revived by the BBC. 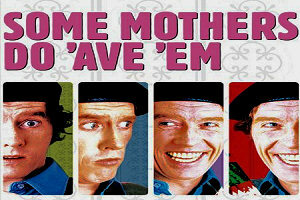 It ran on ITV in 68 episodes divided into five series from 1971 to 1975. 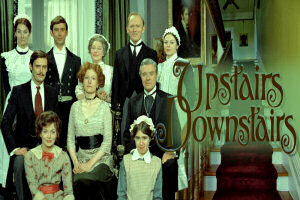 Set in a large townhouse in Edwardian, First World War and interwar Belgravia in London, the series depicts the lives of the servants "downstairs" and their masters?the family "upstairs". Great events feature prominently in the episodes but minor or gradual changes are also noted. The series stands as a document of the social and technological changes that occurred between 1903 and 1930. The stories depict the lives of the wealthy Bellamy family ("upstairs"), who reside at 165 Eaton Place in London's fashionable Belgravia, and their servants ("downstairs"). The household is led by Lady Marjorie Bellamy (née Talbot-Carey), daughter of the Earl and Countess of Southwold, and her husband Richard Bellamy MP, the son of a country parson. They got married despite the objections of her parents and set up house at 165 Eaton Place, one of several London properties owned by Lord Southwold. Richard is a politician, and several plots revolve around his political ambitions and conflicts arising from his desire to follow his conscience and his allegiance to his father-in-law's political party, the Conservatives (the "Tories"). Richard and Lady Marjorie Bellamy have two children, James and Elizabeth, who are, respectively, in their early twenties and late teens when the series starts in 1903. In 1912, James' ill-fated wife Hazel becomes the new mistress of the house, and the following year, Richard's ward, Georgina, comes to live at 165 Eaton Place. The original servant staff comprises the authoritarian butler Mr. Angus Hudson, cook Mrs. Kate Bridges, pragmatic head house parlourmaid Rose Buck, sweet Irish kitchen maid Emily, eccentric footman Alfred, mischievous under-house parlourmaid Sarah, who dreams of a dramatic life beyond servantdom, coachman Pearce, and Lady Marjorie's lady's maid Maude Roberts. Over the years they are joined by Edward, a cheeky footman who later becomes a chauffeur; Daisy, the parlourmaid who eventually marries Edward; Thomas Watkins, the devious chauffeur who dabbles with Sarah's affections; and Ruby, the slow-witted kitchen maid. Touched by an Angel is an American supernatural drama series that premiered on CBS on September 21, 1994, and ran for 211 episodes and nine seasons until its conclusion on April 27, 2003. Created by John Masius and produced by Martha Williamson, the series stars Roma Downey, as an angel named Monica, and Della Reese, as her supervisor Tess. Throughout the series, Monica is tasked with bringing guidance and messages from God to various people who are at a crossroads in their lives. 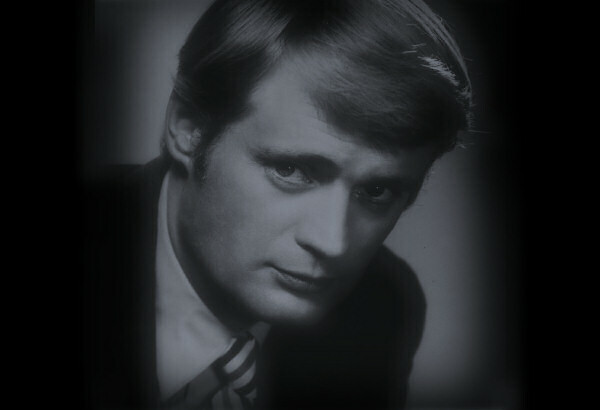 From season three on, they are frequently joined by Andrew (John Dye), the angel of death (who first appeared as a recurring character in season two). The series went into syndication in 1998, and has been shown on Ion Television (formerly PAX-TV), Hallmark Channel, and Up. The episodes of the series generally revolved around the "cases" of Monica, an angel recently promoted from the "search and rescue" division, who works under the guidance of Tess, a tough, but loving boss who showed greater respect as an authority figure of her employee. Monica in one episode outlines that she started in the choir then annunciations, followed by search and rescue and then case work. Most cases involve a single person or a group of people who are at a crossroad in their lives and facing a large problem or tough decision. Monica and Tess bring them messages of hope from God and help give them guidance towards making their decision. During their first episode, the pair receive a red 1972 Cadillac Eldorado convertible as a gift; they use it for transportation throughout the rest of the series while in the human world, with Tess doing the driving. As the series progresses, Monica continues gaining experience as a case worker and, during some cases having to learn lessons of her own. 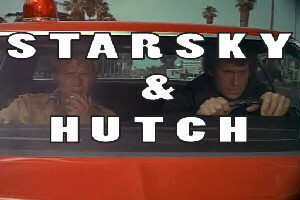 Starsky & Hutch is a 1970s American cop thriller television series, which consisted of a 70-minute pilot movie (originally aired as a Movie of the Week entry) and 92 episodes of 50 minutes each. The show was created by William Blinn, produced by Spelling-Goldberg Productions, and broadcast between April 30, 1975, and May 15, 1979, on the ABC network. It was distributed by Columbia Pictures Television in the United States and, originally, Metromedia Producers Corporation in Canada and some other parts of the world. 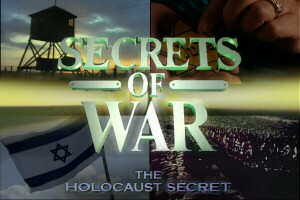 Sony Pictures Television is now the worldwide distributor for the series. 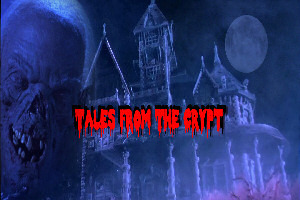 The series also inspired a theatrical film and a video game. 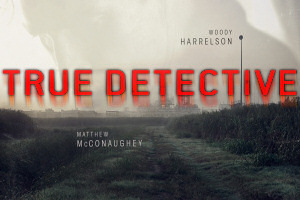 The series' protagonists were two Southern California police detectives: David Michael Starsky (Paul Michael Glaser), the dark-haired, Brooklyn transplant and U.S. Army veteran, with a street-wise manner and intense, sometimes childlike moodiness; and Kenneth "Hutch" Hutchinson (David Soul), the blond, Duluth, Minnesota native with a more reserved and intellectual approach. Under the radio call sign "Zebra Three", they were known for usually tearing around the streets of fictional "Bay City, California". The vehicle of choice was Starsky's two-door Ford Gran Torino, which was bright-red, with a large white vector stripe on both sides,they used around four different cars for filming, earlier shots had red wingmirrors usually for long shots or footage used in later episodes, close ups and later episodes had silver wingmirrors. The Torino was nicknamed the "Striped Tomato" by Hutch in the episode "Snowstorm", and fans subsequently referred to the car by that nickname, too. However, this moniker didn't come from the writers - it came from a real-life comment that Glaser made. In a segment titled Starsky & Hutch: Behind The Badge that was featured on the first season DVD collection, Glaser stated that when he was first shown the Torino by series producer Aaron Spelling, he sarcastically said to Soul, "That thing looks like a striped tomato!" In characteristic contrast, Hutch's vehicle was a battered, tan, 1973 Ford Galaxie 500. It occasionally appeared when the duo needed separate vehicles, or for undercover work; however, the duo's cover was often blown because Hutch's vehicle had a bad habit: when its driver's side door was opened, the horn would go off, instantly drawing attention. It was also noticeable due to the severely cluttered back seat, so cluttered that there was no room to transport both prisoners, and the two detectives, simultaneously. Stargate SG-1 (often abbreviated as SG-1) is an adventure and military science fiction television series and part of Metro-Goldwyn-Mayer's Stargate franchise. The show, created by Brad Wright and Jonathan Glassner, is based on the 1994 science fiction film Stargate by Dean Devlin and Roland Emmerich. The television series was filmed in and around the city of Vancouver, Canada. The series premiered on Showtime on July 27, 1997; the final episode first aired on Sky1 on March 13, 2007. 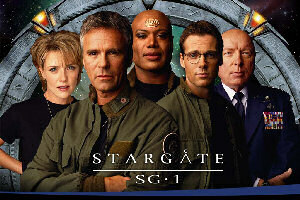 With 214 episodes over 10 seasons, Stargate SG-1 had surpassed The X-Files as the longest-running North American science fiction television series, a record it holds to this day, regarding the time span it was running. However, regarding the number of episodes, it has since been surpassed by the series Smallville with its 218 episodes. 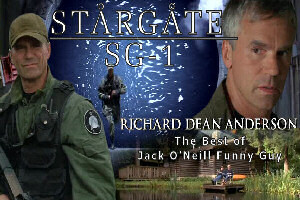 The story of Stargate SG-1 begins about a year after the events of the feature film, when the United States government learns that an ancient alien device called the Stargate can access a network of such devices on a multitude of planets. SG-1 is an elite United States Air Force special operations team, one of about 20 teams from Earth who explore the galaxy and defend against alien threats such as the Goa'uld, the Replicators, and the Ori. The series draws primarily upon Egyptian mythology, Greek mythology, Norse mythology, and Arthurian legend. Skippy the Bush Kangaroo (known commonly as Skippy) is an Australian television series created by Australian actor John McCallum, produced from 1967?1969 (airing from 1968?1970) about the adventures of a young boy and his intelligent pet kangaroo, and the various visitors to the fictional Waratah National Park in Duffys Forest, near Sydney. Ninety-one 30-minute episodes were produced. 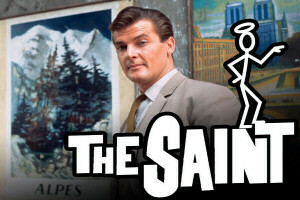 The show was filmed in colour and after airing in its home country, it was shown in the United Kingdom and Canada, where it was first screened between 1969 and 1972. The Nine Network readily repeated the series several times after Australian television switched to colour transmission in 1975. The Australian series was one of the most heavily exported programs. It was broadcast in all Commonwealth countries, including in Canada where it was adapted in Quebec for the Standard French market as Skippy le kangourou. The series was also widely distributed in Ghana where is aired weekly on the GBC. It was dubbed into Spanish in Mexico, where it is known as Skippy el canguro, and has been seen in most Spanish-speaking countries, including Cuba and Spain, where it became very popular. In Germany, it was known as Skippy das Bush Kangaroo. 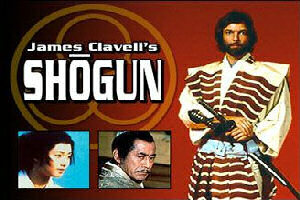 The series crossed the Iron Curtain and was aired in Czechoslovakia and the Soviet Union in the 1970s and 1980s, and is still being broadcast in Iran. The show was popular in Scandinavia, indeed in Norway a chain of shopping centres were named in honour of the program.